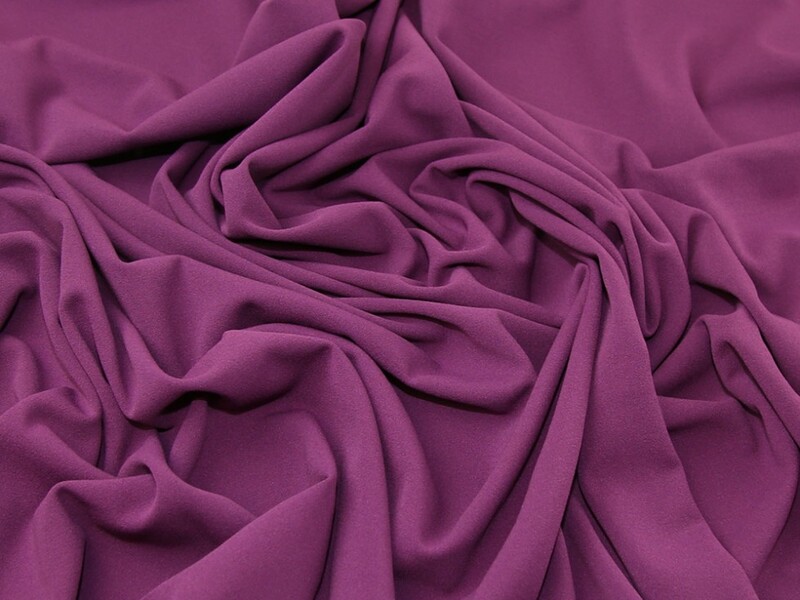 This fabulous new fabric called scuba crepe has the bounce and spring of scuba fabric but it is slightly lighter in weight and has a lovely texture that looks like crepe. It is still a comparatively thick jersey compared to most other types of jersey fabric and it has the most fabulous stretch recovery. This makes it perfect for making fitted, body hugging clothing like bodycon tops and dresses and for making structured garments like skirts and full skirted dresses. As part of our clearance range we are able to bring it to you at a much cheaper price than the RRP, but only whilst stocks last! I already love sewing with scuba so thought I would try scuba crepe. It's not as heavy and has more drape. The texture is different too and more like a crepe. I've made a really nice black jumpsuit so fat and have some of the pink set aside to make a dress. Would definitely recommend this fabric!